The Virginia Economic Development Partnership (VEDP) was created by the Virginia General Assembly in 1995 to encourage, stimulate, and support development and expansion of the Commonwealth’s economy. To accomplish these objectives, the Partnership focuses on business recruitment, expansion, and international trade. VEDP has offices in Virginia, Germany, Japan, and South Korea. With dedicated and knowledgeable professionals committed to Virginia’s economic success, VEDP helps businesses find the resources they need to make relocation and expansion successful endeavors. VEDP is governed by a 17-member Board of Directors. The Board selects the President and Chief Executive Officer and ensures that VEDP complies with all Board and statutory directives. The Board works with VEDP’s staff to develop, implement, and update strategic and marketing plans for the Commonwealth and an operational plan for VEDP. Stephen Moret is President and CEO of the Virginia Economic Development Partnership. Before joining VEDP in January 2017, Moret served as chief executive of the Baton Rouge Area Chamber and Louisiana Dept. of Economic Development, as well as the LSU Foundation and its real-estate development arm. At VEDP, he has collaborated with state, regional, and local partners to craft an ambitious vision focused on transformational goals, including accelerating employment growth; enabling every region to grow; and moving back to the top of national business climate rankings. He led Virginia’s successful state-and-local team bid for Amazon’s HQ2 and is launching a world-class, custom workforce program along with the Virginia Community College System. For seven years, Moret served as secretary of LED, transforming it into one of America’s top state economic development agencies. While there, he led business development efforts and built higher ed partnerships that helped secure a variety of projects in urban and rural areas, including software/IT centers (e.g., CGI, CSC, GE, IBM), food/agricultural processing facilities, and a few of the largest FDI projects in U.S. history. Collectively these projects totaled more than $62 billion in capital investment. He also established LED FastStart, which The Economist called “probably the most notable statewide workforce-development initiative [in America].” During his tenure, Louisiana rose to its highest-ever position in every national business climate ranking. Prior to LED, Moret was CEO of BRAC, which he and his team transformed into a nationally competitive, regional EDO. He also served as a consultant with McKinsey & Company; a public policy fellow with the Public Affairs Research Council of La. ; and a consultant to Harvard Business School. Vince Barnett serves as Vice President of Business Investment, where he directs VEDP’s lead generation, business retention and expansion, and Governor-led trade mission strategies to targeted industry executives and site-selection consultants. Barnett previously served as VEDP’s Vice President of Communications and Promotions, where he led the marketing program. Before joining VEDP in 2001, Barnett served as Marketing Manager for HHHunt Corporation in Glen Allen, Virginia, where he was responsible for marketing efforts at Hunting Hawk Golf Club. Barnett served more than seven years in the United States Air Force and the Virginia Air National Guard, with assignments at Ramstein Air Base in Germany and Incirlik Air Base in Turkey. Sean Brazier serves as VEDP’s Vice President of Economic Competitiveness, responsible for development and implementation of strategies and initiatives to improve Virginia’s business environment, supporting productivity and prosperity growth for its citizens. Before joining VEDP in September 2017, Brazier helped start Purpose Built Schools Atlanta, an organization that partners with Atlanta Public Schools to manage schools on behalf of the district. Brazier also spent five years at McKinsey & Company where, among other roles, he served as an Engagement Manager for clients across public and private sectors, including one year as the U.S Program Manager for scaling operations for Generation U.S., a workforce development program preparing 18-29-year-olds for successful careers. Melissa Cox serves as VEDP’s Human Resources Director, responsible for talent acquisition and retention, performance management, total rewards, and human capital risk management. Before joining VEDP in May 1998, Cox served as a long-term substitute teacher with Henrico County Public Schools. Cox also spent five years with the Virginia Department of Agriculture and Consumer Services as an Office Services Specialist in the Office of Product and Industry Standards. Jason El Koubi serves as VEDP’s Executive Vice President, leading the organization’s strategy and operations in collaboration with the President and CEO and directly overseeing activities related to economic competitiveness, international trade, incentives, research, IT, fiscal operations, and human resources. Before joining VEDP in July 2017, El Koubi was previously President and CEO of One Acadiana, a regional economic development organization based in Lafayette, Louisiana. Under his leadership, the organization developed and successfully launched one of the most successful capital campaigns of its kind in the nation to deliver a new economic development program for the nine-parish region. Previously, El Koubi served as Assistant Secretary of Louisiana Economic Development, where he led initiatives that helped secure projects creating more than 63,000 new jobs along with more than $28 billion in new capital investment, while dramatically improving Louisiana’s position in virtually every state business climate ranking. Paul Grossman serves as VEDP’s Vice President of International Trade, responsible for increasing trade of Virginia products and services to markets worldwide. Grossman has 30+ years of international economic development experience in Virginia, Arizona, and South Carolina at the state and local levels, and has lived and traveled extensively overseas. He has designed and implemented award-winning international trade development programs, business recruitment programs, and industrial parks. Under his guidance, more than 1,500 Virginia companies have traveled internationally to conduct business, and the Virginia Leaders in Export Trade (VALET) Program and Global Defense Program were created, initiatives that were first-ever in the nation and received national and international acclaim. He also managed VEDP’s international business recruitment program, resulting in $3.8 billion in capital investment and creation of 15,425 jobs. As General Counsel, Sandra Jones McNinch oversees all of VEDP’s legal functions. Before joining VEDP, McNinch was a public finance lawyer at a large law firm representing localities, issuers, borrowers, investment bankers, credit providers, and trustees in financings for public and private facilities and infrastructure. She also represented localities and developers in negotiating and implementing public-private partnerships and economic development incentive packages. As CIO, John Mehfoud directs VEDP’s strategic planning and information security technology. Mehfoud was previously a software engineer for a consulting firm in Richmond, Virginia. He specialized in accounting systems, network architecture, and large-scale database design. His assignments included major companies and organizations at the federal and state level. Lori Melancon serves as VEDP’s Vice President of Marketing & Communications, responsible for marketing the Commonwealth for business, including the VEDP and Virginia brands, websites, event and trade show marketing, and external communications. Before joining VEDP in April 2017, Melancon led economic development marketing efforts at Louisiana Economic Development and the Baton Rouge Area Chamber. During her tenure at LED, she modernized the Louisiana brand for business, managed all components of the organization’s marketing and communications program, and created innovative tools for regional and local partners. Lori has also worked for two advertising agencies, managing relationships with economic development and private-sector clients. Nathalie Molliet-Ribet leads VEDP’s Research team, providing companies and economic development stakeholders with customized, insightful analysis and data visualizations that convey Virginia’s full value proposition as the best state for business. Nathalie was most recently Virginia’s Deputy Secretary of Education, promoting Governor McAuliffe’s priorities in higher education and workforce training. Previously, she served as the Senior Associate Director of the Joint Legislative Audit and Review Commission (JLARC), the General Assembly's public policy research agency. During her 13-year career at JLARC, Nathalie oversaw and conducted more than 20 studies that prompted sweeping legislative reform in areas including economic development, incentives, workforce development, health care, and human services. Before entering state service, Nathalie held a variety of leadership positions in finance with General Electric. Christy Morton serves as VEDP’s Vice President of External Affairs, responsible for managing VEDP’s relationships with the General Assembly, the Administration, and Virginia’s congressional delegation. She also leads VEDP’s external relationships with local and regional economic development organizations, trade associations, and other key stakeholders and partners to increase VEDP’s collaboration across the Commonwealth. Morton previously served for four years as Executive Director of the Virginia Rural Center, where she brought together local and state government officials to develop solutions for challenges facing rural communities. She worked closely with legislators, the Administration, telecommunications firms, CIT, and other groups to improve broadband access in rural areas, as well as led initiatives to highlight innovative opportunities for economic development in rural Virginia. Morton once served as Deputy Director of External Affairs and Policy Development for Governor Bob McDonnell, building coalitions and managing stakeholder relations for the Governor’s initiatives and legislative agenda as well as for all cabinet offices. Before joining the Administration, she worked in communications and public relations for Virginia Natural Gas in Norfolk, Virginia, and in government affairs and public relations with Davis Consultants in Richmond. As the Controller and Treasurer, Jack Nelson’s primary responsibilities include asset protection, internal control, procurement, budget, and accounting and support services operations. 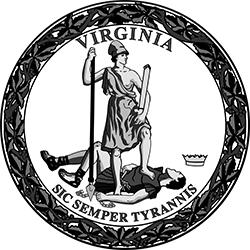 Before joining VEDP in 1991, Nelson worked in the Virginia State Comptroller’s Office reviewing state agency responses to Auditor of Public Accounts audits and managed statewide indirect cost recovery, accounts receivable, federal cash management, and leases. Before working in the public sector, Mr. Nelson served as Controller of a nonprofit private sector firm and as staff accountant with a CPA firm. Johan Salén serves as VEDP’s Vice President of Incentives, responsible reviewing, vetting, tracking, and coordinating all incentives administered by VEDP, as well as incentives strategy and structuring for major projects. Before joining VEDP in August 2018, Salén served as the Executive Director of New York City Industrial Development Agency, providing discretionary incentives for corporate attraction and retention projects on behalf of the City. Prior to NYCIDA, Johan spent six years working at Louisiana Economic Development, first as Director of Structuring and Valuation and then as Director of Business Development, where he led the attraction of a variety of major project wins, including CGI, CSC/CSRA, IBM, and GE Capital, among others. Tim Stuller serves as VEDP’s Vice President of Workforce Solutions, helping new and expanding businesses access talent and training and overseeing the Virginia Jobs Investment Program, a key workforce incentive supporting economic development. Stuller joined VEDP in 2011 and previously served as a Business Development Manager focused on new and expanding businesses, with emphasis on the biosciences sector. He represents VEDP on several statewide boards and task teams for business and workforce. Before VEDP, Stuller worked for IBM Corporation in marketing and business development leadership in regional and national markets with commercial and public-sector clients. For two decades, the Virginia Economic Development Partnership has served as Virginia’s economic development authority. Like the Commonwealth it serves, VEDP has long been regarded as among the best in the country because of its stable leadership and nimble, creative, mission-focused operations. It is a nonpartisan, quasi-independent state authority governed by a board of directors that spans gubernatorial administrations. VEDP is a certified Virginia Values Veterans (V3) Program employer with ongoing plans to recruit, hire, and retain veterans.